Due to a series of unfortunate diving incidents in Wellington & around the Country the Police National Dive Squad were keen to talk to all divers about what we can do to stay safe in the water. With 9 deaths in the last 4 months, the issues surrounding diver safety are foremost in the minds of many within the diving community. The evening started some statistics on underwater drowning deaths by Mark Lindsay from Water Safety New Zealand In 2015 there were 9 deaths while the 5 year average is 6 per year. In 89% of the deaths the buddy was not within visual distance. In the period 2011-2015 there were 32 deaths, 14 on scuba, 9 snorkelling and 9 freediving. Coroner Peter Ryan was there to offer support to the Police data and the recommendations that he puts forward to mitigate the causes of the diving incidents. He reminded us that we do not want to end up in his office! The most harrowing presentation came from Jo and Josh, the wife and buddy respectively, of Eric who died spearfishing here in Wellington 4 years ago. To hear their story and to see the emotional impact this event still has on their lives highlighted the importance of buddy contact, diver safety and dive planning to everyone in attendance. Senior Sergeant Bruce Adams then delivered statistics on the 39 diver deaths the Police National Dive Squad have investigated between December 2006 and March 2016. 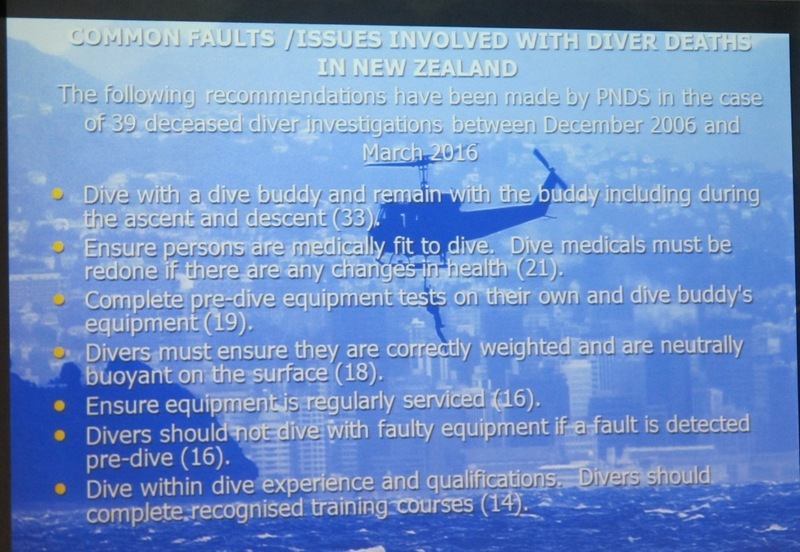 The Buddy System: Failing to follow the buddy system throughout the entire dive was indicated in 85% of the incidents, while failing to adequately monitor air was present in 33% of cases as was a lack of adequate dive planning including emergency procedures. The buddy system requires all divers to actively participate in it to be effective. Remember that any diver can call a dive for any reason at any time, regardless of the conditions or the distance travelled to the dive site. Medical Fitness: A diver’s current fitness to dive was identified as a possible cause in 54% of cases and dive medicals are recommended especially when health changes are identified. Use of drugs, including prescription drugs occurred in 12% of cases and alcohol in 15%. The question was also raised about general dive fitness and the impacts of carrying gear and if divers can comfortably swim against currents or back to their exit point if required. Remember if you are not feeling well for any reason before or during the dive abort it. Weighting: Overweighting is thought to be an issue in 46% of cases. Weight checks should be done regularly especially if you change gear, environments and gain dive experience. Scuba divers should be neutral (eye level) at the surface with ~50bar in your tank, an empty BCD and holding a normal breath. As you exhale you should slowly descend. Freedivers should be positive at the surface with your head remaining above the surface on exhalation. Practice ditching your weights at the surface – 90% of victims either had their weights still attached or had them removed by their buddy. Equipment Considerations: Equipment plays a big role in diving incidents in a variety of ways, lack of predive gear checks – 49%, diving with unserviced gear or using gear with known faults – 16% each, unfamiliar with the information provided by their computer – 26%, lack of familiarity with the gear used – 18%, not using a dive knife – 28%. Checking your equipment prior to heading out on a dive trip allows time to fix problems before hitting the water and become familiar with your equipment on a checkout dive. Training: Diving beyond a divers training or experience level or the lack of a recognised dive qualification was a factor in 36% of cases while pushing the limits of depth, time and experience occurred in a further 18% of cases. A lack of refresher training or ‘work-up’ dives occurred in 23% of cases and unfamiliarity with safety drills in 15%. We should never stop learning and practicing our skills ever! Think about your training, watch the DVD again and better yet go diving and practice. Find a buddy willing to review the skills with you and practice. Repetition is the only way for these skills to become an automatic response in an emergency. We can read these statistics and respond with we know that, we were taught that, that is obvious but if we ‘know’ the answers why are so many divers dying? Perhaps it is time to stop being complacent. 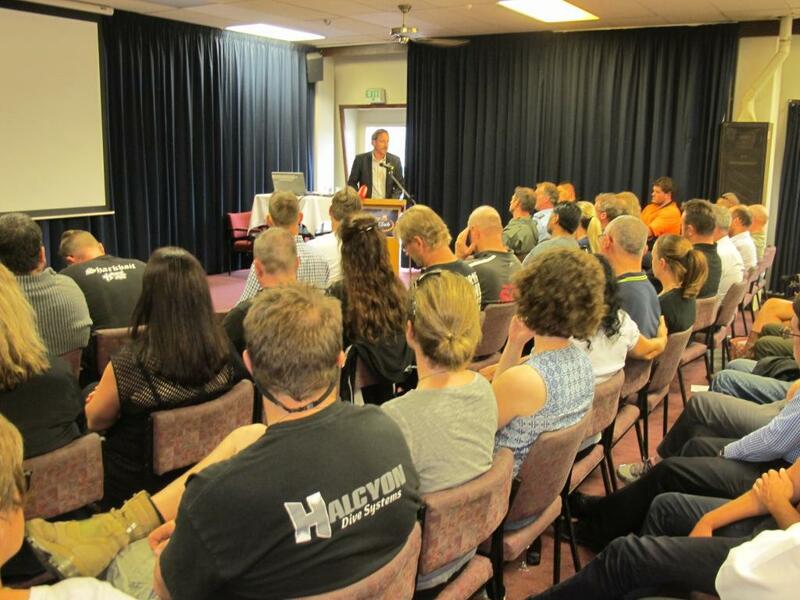 Dive HQ Wellington along with the Dive Adjunct of the Petone Working Men’s Club would like to thank everyone who attended. 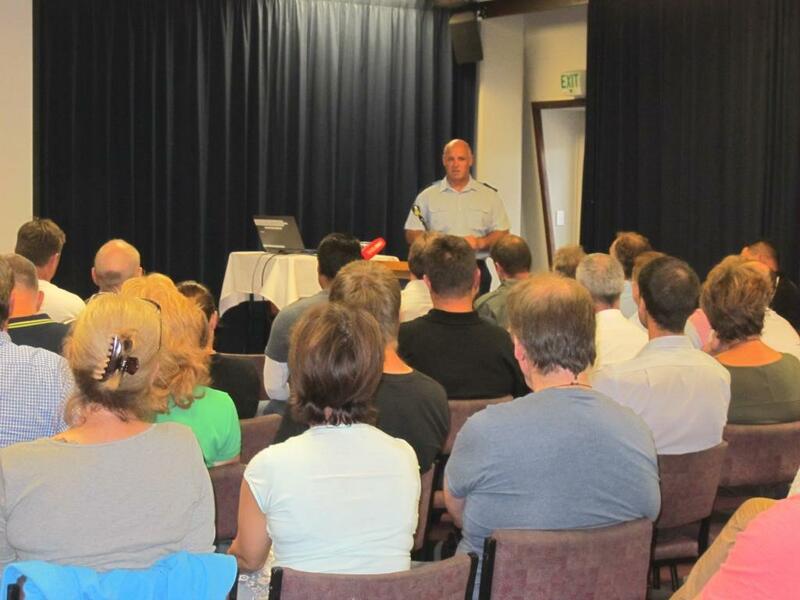 The interest in the event throughout the diving community was incredible with representation from the Police, dive stores and clubs, spearfishing groups, Water Safety NZ, Coastguard, MPI and many other groups available to answer questions. Over 100 divers and their families attended the presentation. We hope you learnt something and please remember to share this information with your dive buddies and help spread the safety message.